It’s been 10 days since I last washed my hair. No, I’m not conducting some kind of test but it’s all because I banged my head quite badly on Monday night (don’t ask) and ended up in A&E for four hours. That night I learnt that the scalp contains lots of blood vessels which is why it bleeds so much – it was like Halloween all over again! I’m glad to report that, except for a tender skull and a rather colourful black eye, I’m on the mend, however those with a squeamish disposition may want to skip the next bit as I explain why I haven’t lathered up for well over a week. Upon examination at the hospital, the doctor decided to seal the wound with medical glue instead of stitching it, however I wasn’t allowed to get my hair or the glue wet for five days. But the medical pros must be obayed, so there was only one thing for it – dry shampoo. I’ve been a huge fan of this stuff for years, but there’s one brand I always fall back on as in my mind it really is the original and the best. 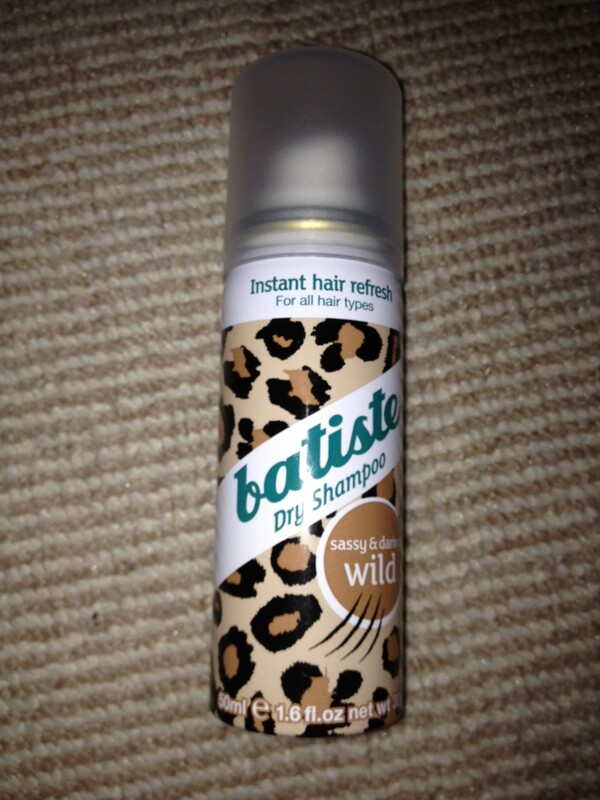 Enter Batiste Dry Shampoo. This was, I believe, the first of its kind on the market and is amazing, giving hair renewed freshness, volume and texture. And now they have lots of different variants and cute travel sized versions too, I’m currently using ‘Wild’, which has a punchy Oriental/vanilla scent. Along with arnica cream (from Holland & Barrett), Vitamin C and concealer (currently bareMinerals Stroke of Light Eye Brightener FYI), it’s been my style saviour over the past few days until I finally wash my hair tomorrow (phew). And for that Batiste, I salute you. Batiste Dry Shampoo costs from £1.50 for 50ml and is available from a wide range of high street shops and supermarkets, as well as asos.com and beautique.com. I totally agree Baptiste is by far the best Dry Shampoo on the market most definitely one of my top 10 beauty must-haves! !